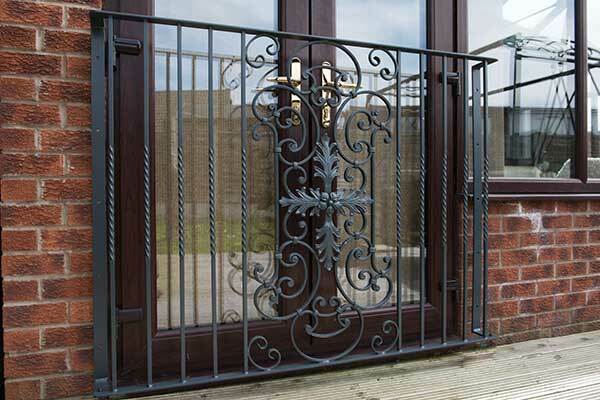 Metal Balustrades - many designs in stock for next day despatch. 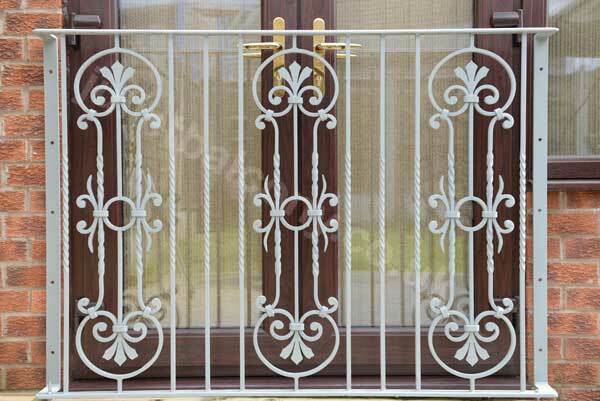 We can make a galvanised steel balustrade in any of our juliet balcony designs (shown below), or to your own design. 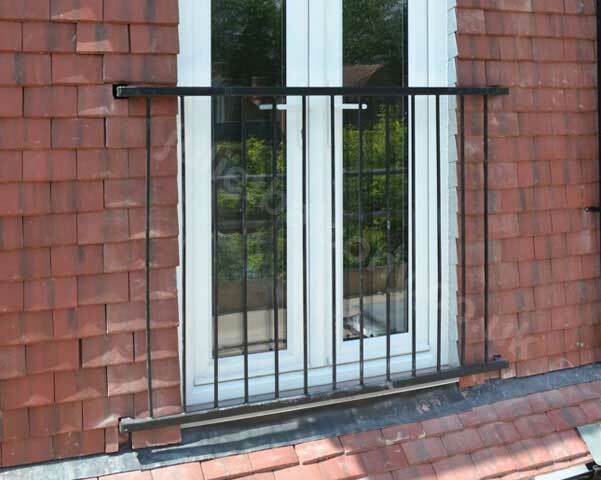 Ideal for patios or on a flat roof conversion. Some designs and sizes are in stock. Otherwise allow up to 2 weeks for build and delivery. We are happy to advise on correct sizes, based either on your measurements or photos. Please note that we are not able to visit to take measurements. Hot-dip galvanised (to BS729) to prevent corrosion. 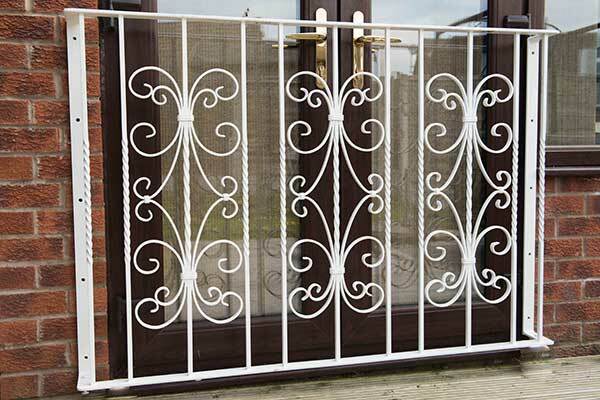 Or have a powder coating (extra £40). Four standard colour options: black, white, anthracite grey, or graphite silver. 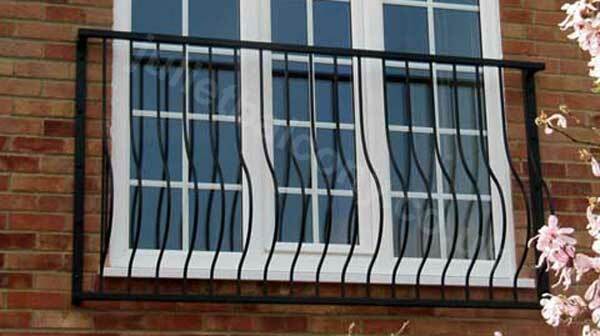 Or specify any RAL colour of your choice for an extra £25 per balcony. Included is touch-up paint, in case of any scuffing when fitting. All welds are to BS5135. 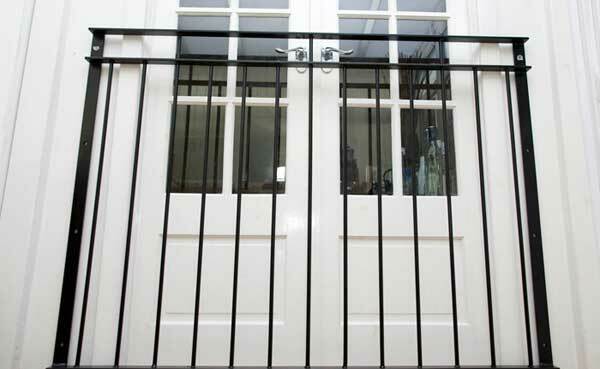 For safety there are no gaps greater than 100mm in any design. Guarding to be capable of resisting a horizontal force of O.74KN/m minimum applied to the handrail. Delivery charge is £30 (under 1500mm width) or £40 (1500mm and over). Delivery is charged per order, not per balcony, so if you order two or more balconies you will only be charged for the largest one. Unlike most of our competitors, there are no other charges. All prices include VAT, fixtures and fittings, bolt covers, and any top-up paint. All major cards accepted – no extra charge for credit card payments. Example pricing below is based on a small range of sizes – we can supply any size you require. 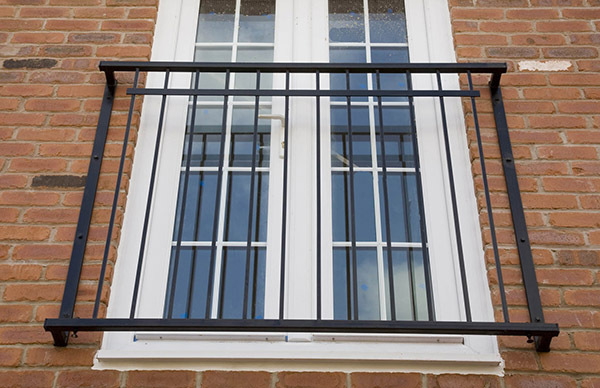 Photos show the balustrade design as a balcony. All major cards accepted – no extra charge for credit card payments.